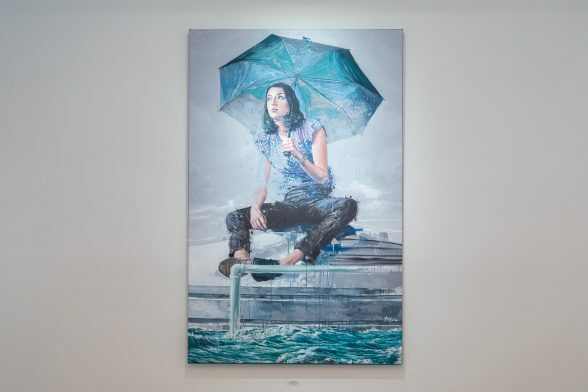 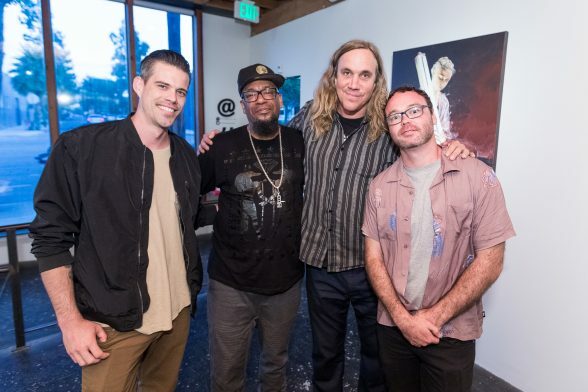 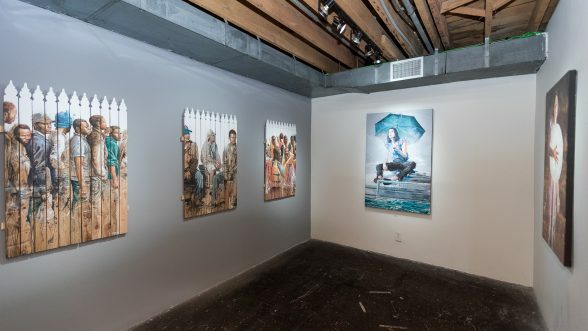 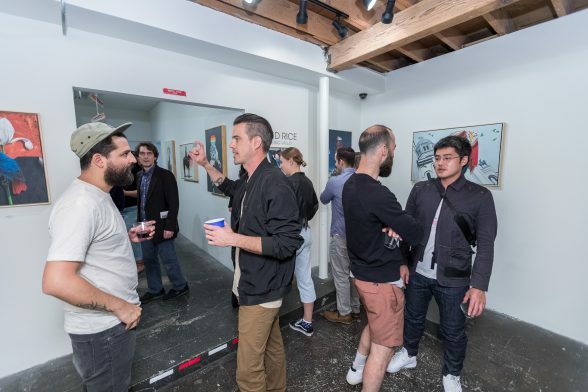 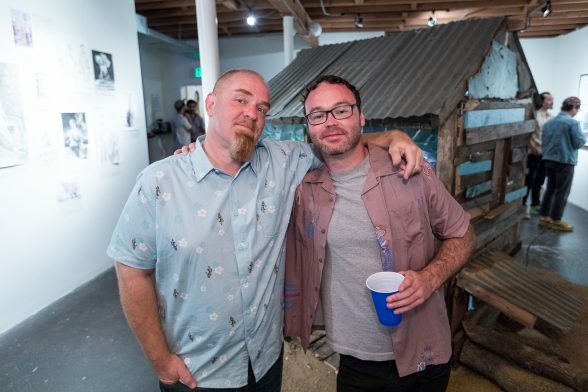 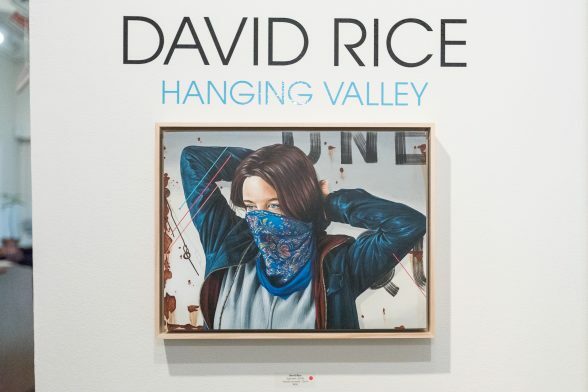 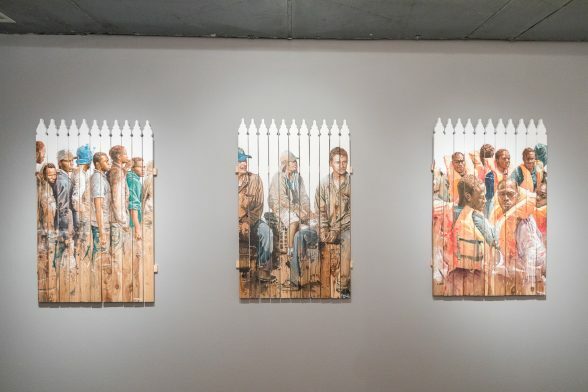 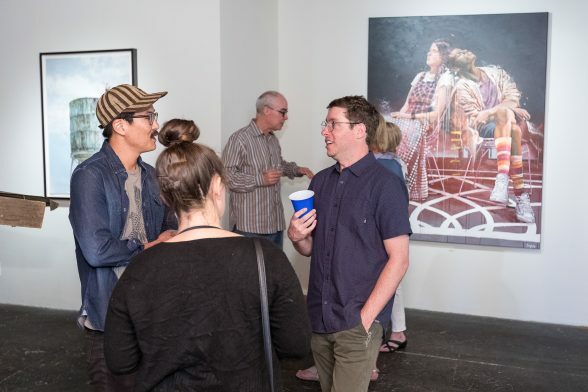 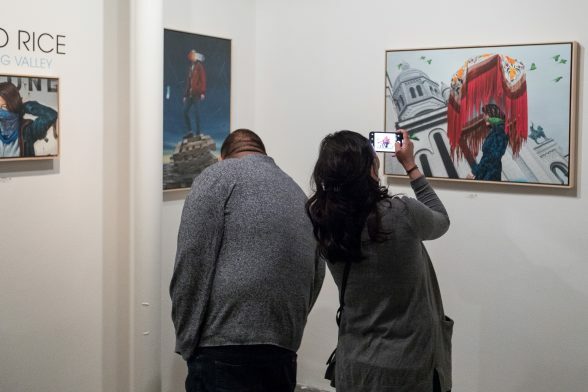 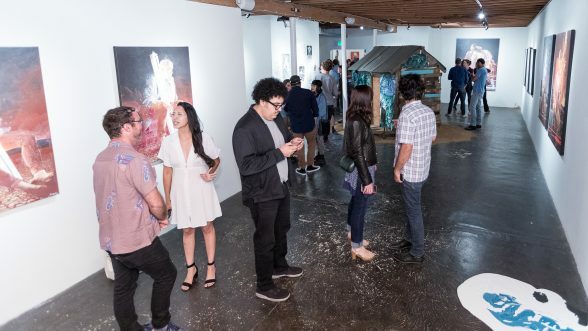 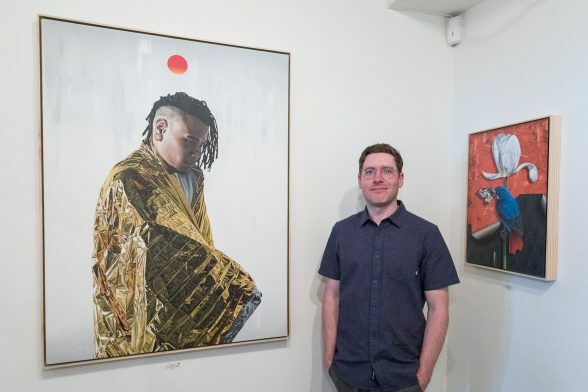 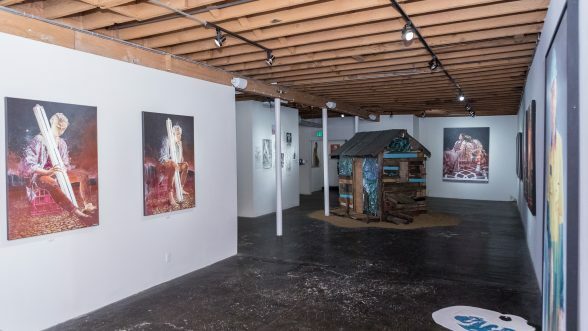 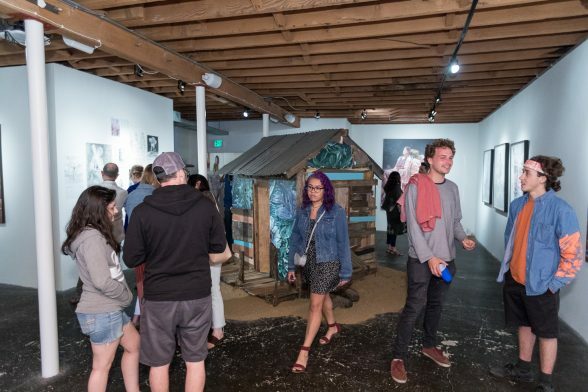 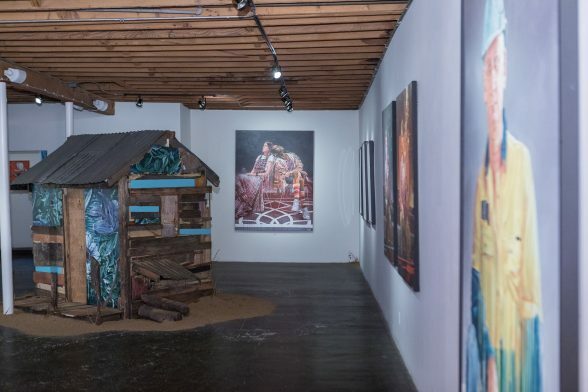 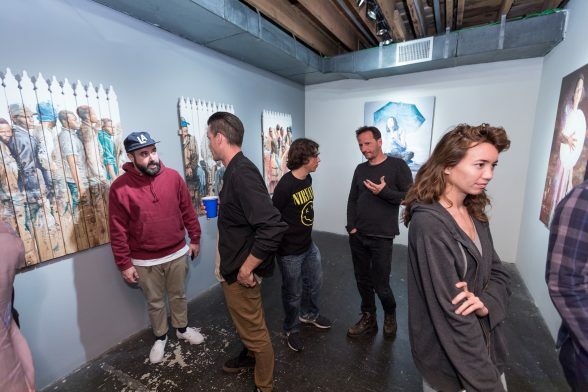 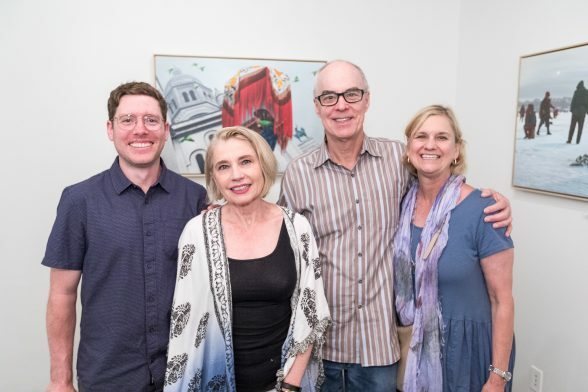 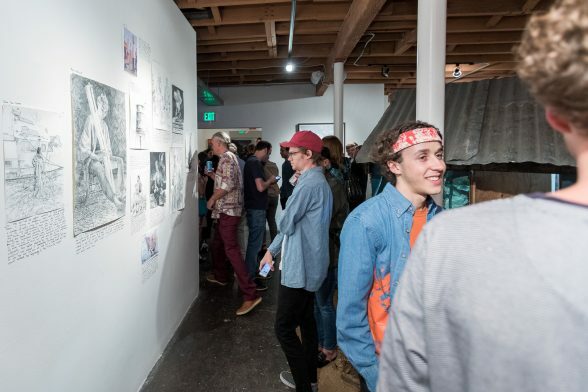 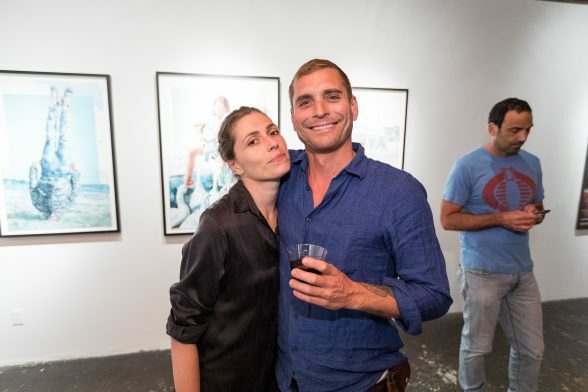 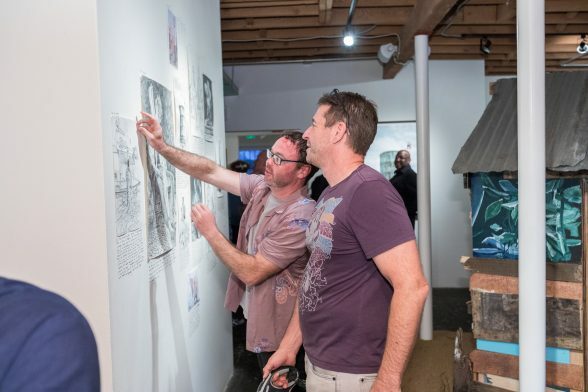 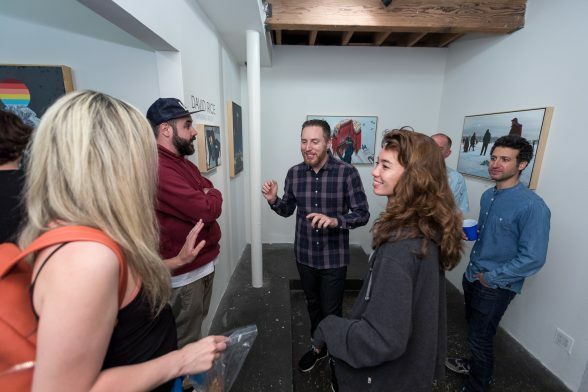 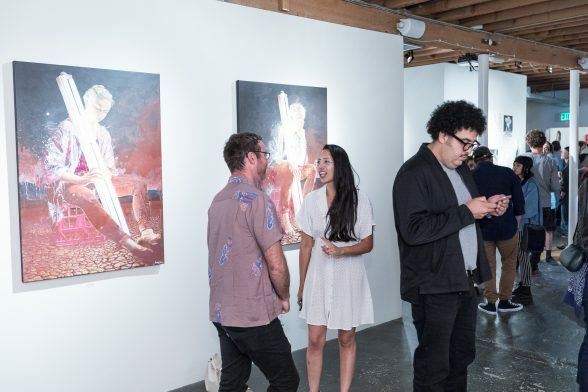 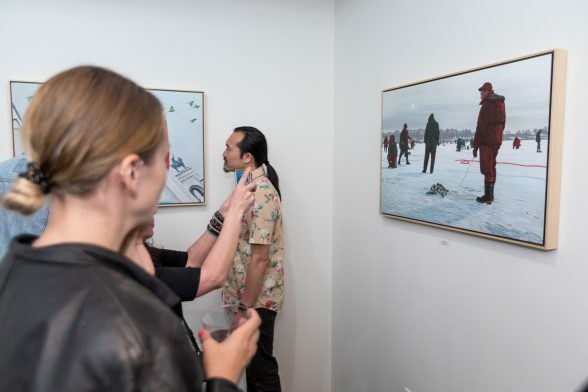 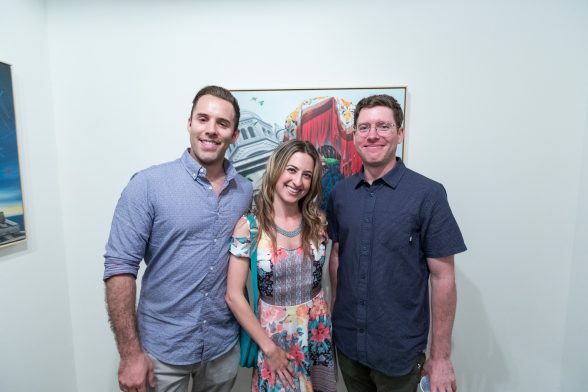 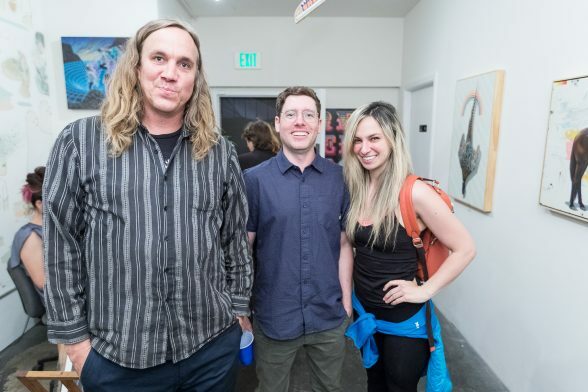 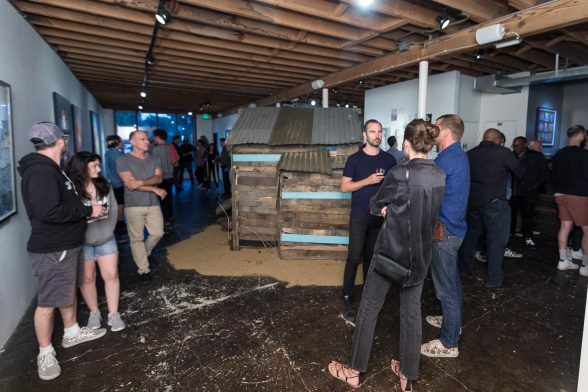 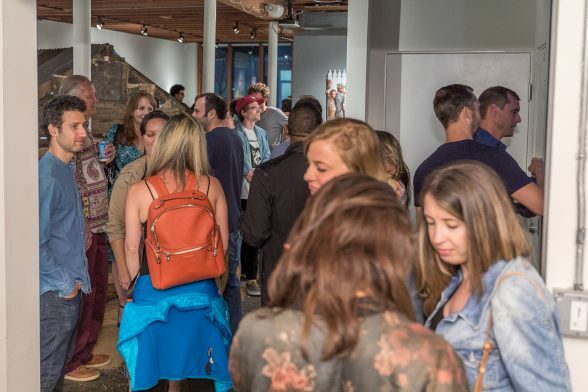 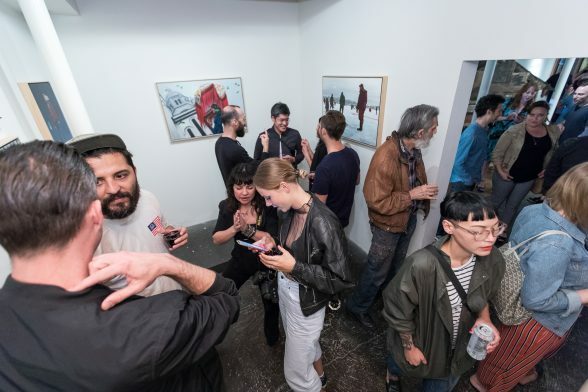 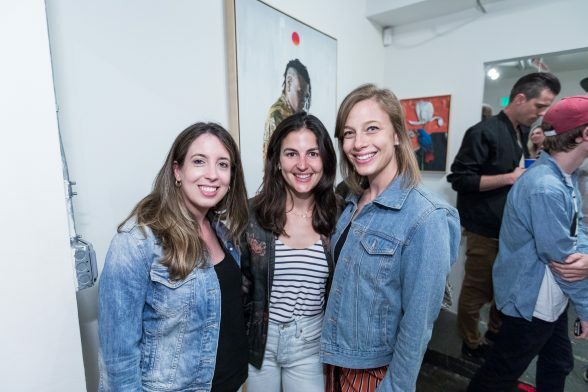 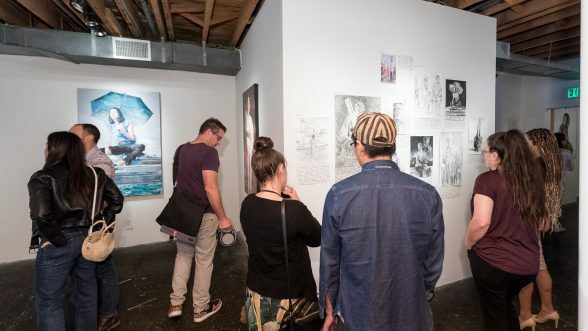 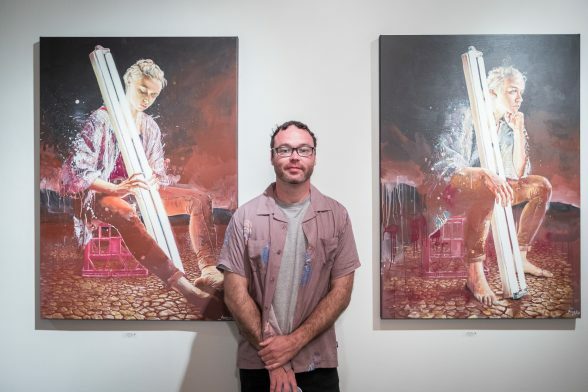 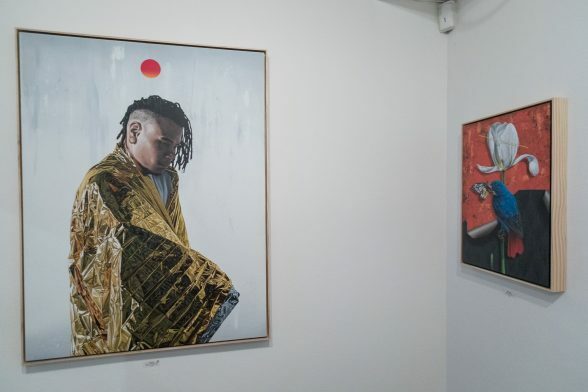 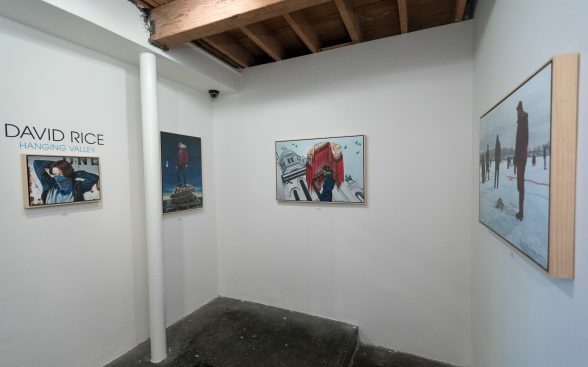 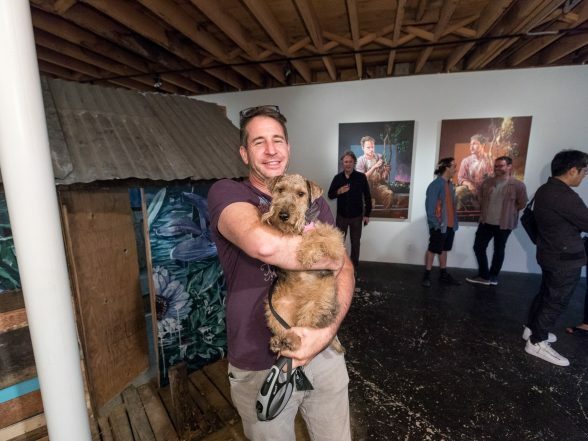 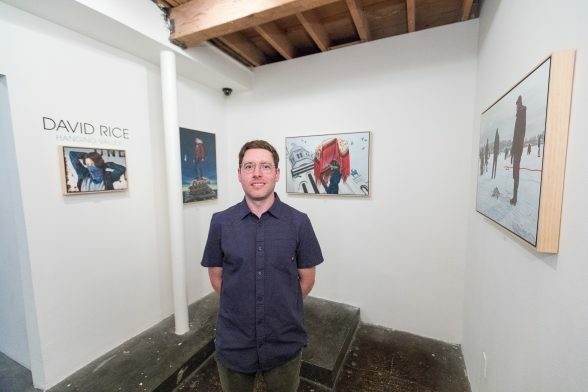 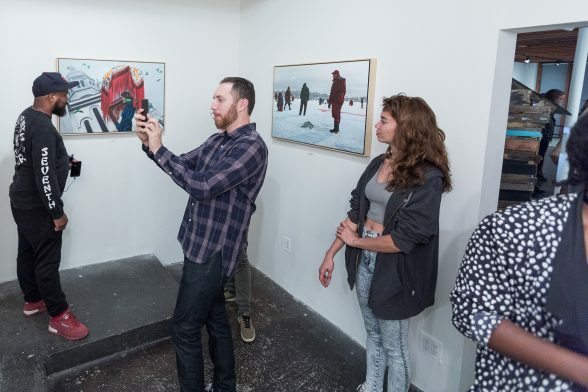 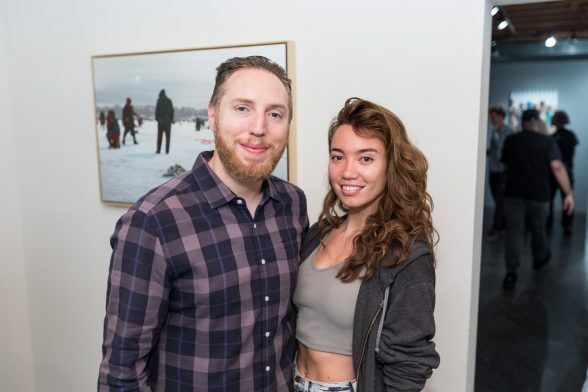 Tonight LAX / PDX II opens in Portland, Oregon at Antler Gallery, but last weekend at our home base in Culver City, Fintan Magee’s “The Big Dry” and David Rice’s “Hanging Valley” opened to a receptive crowd. 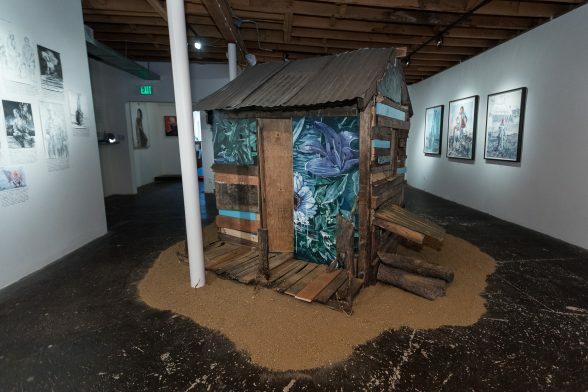 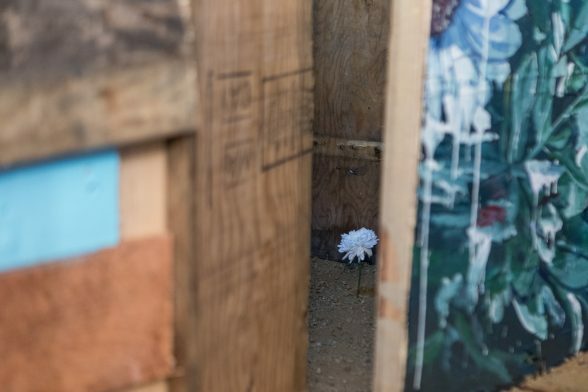 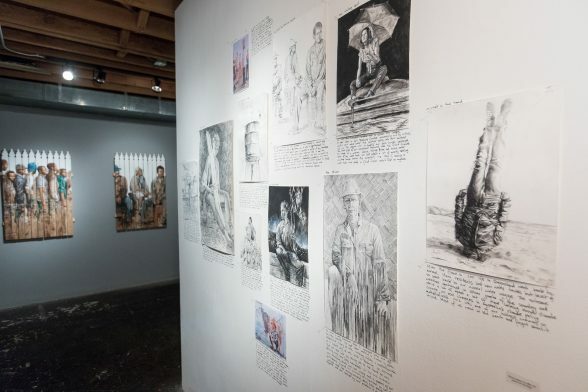 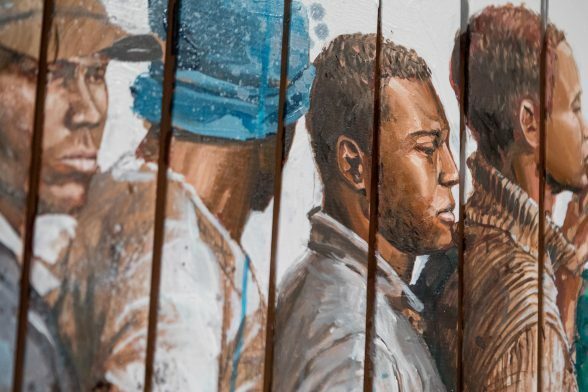 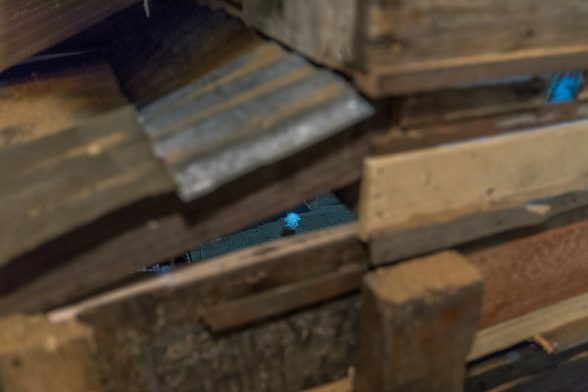 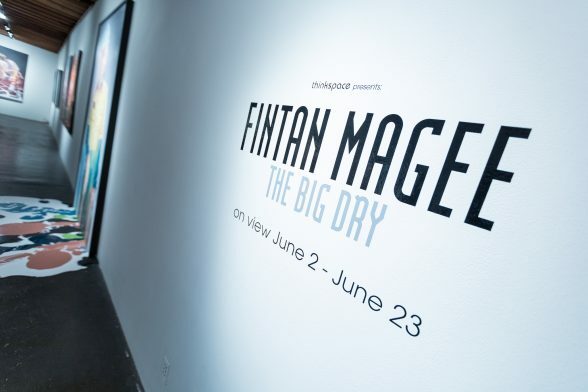 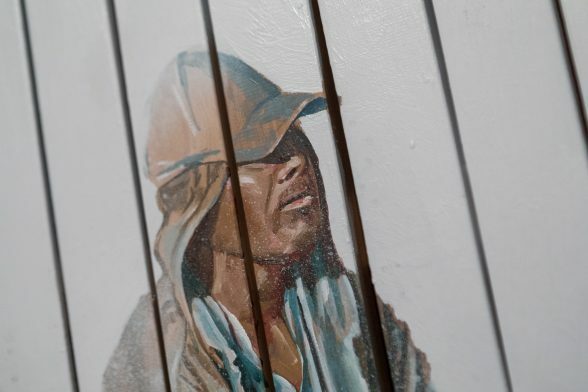 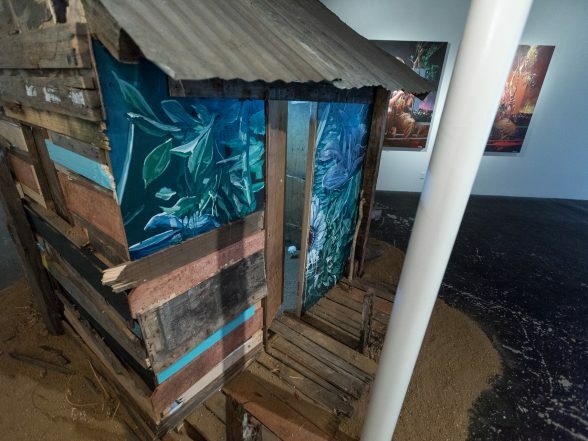 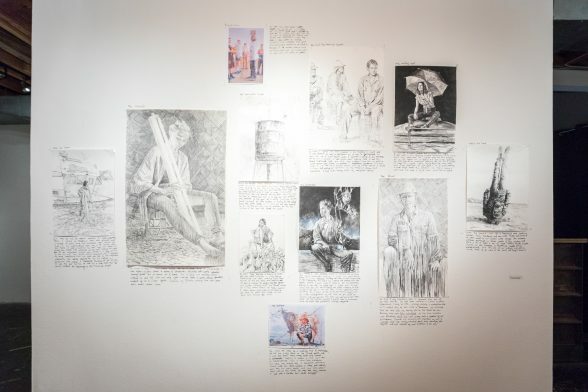 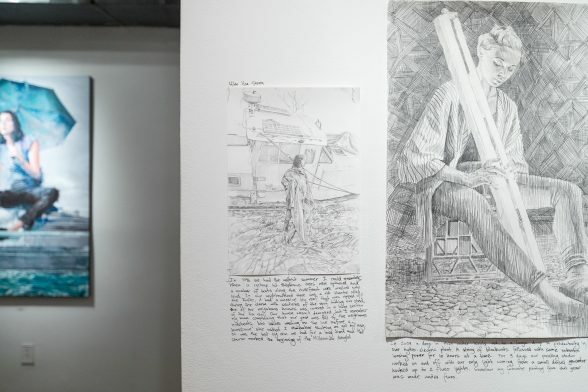 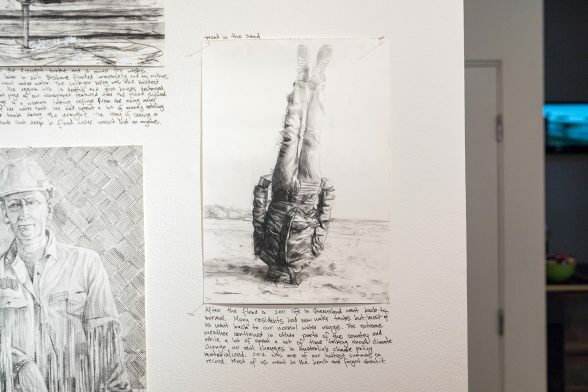 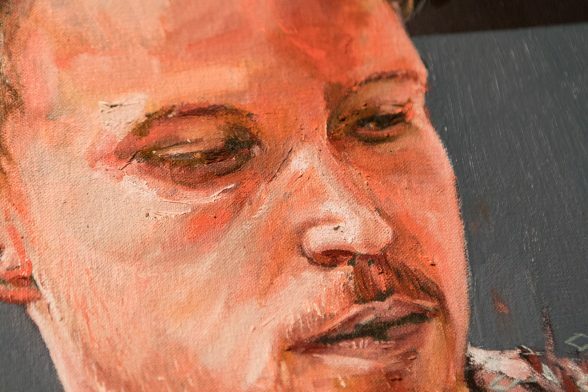 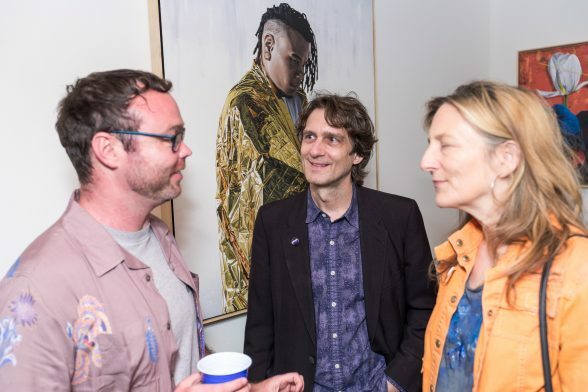 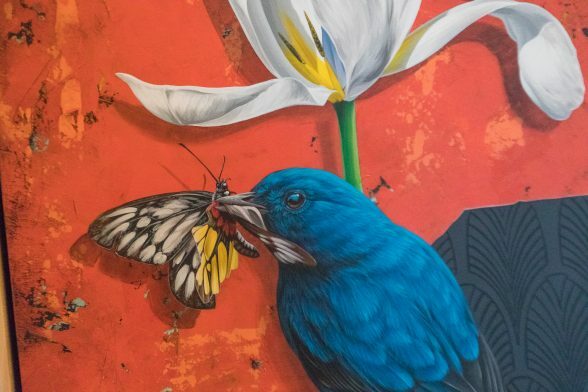 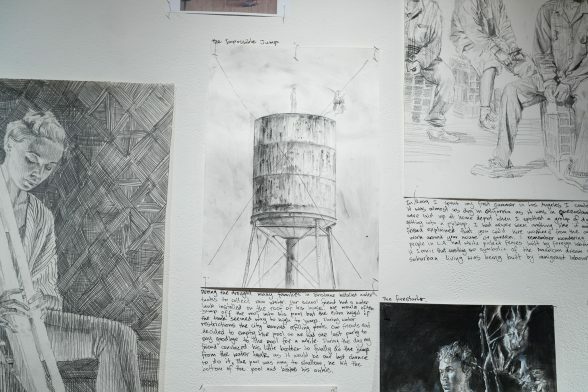 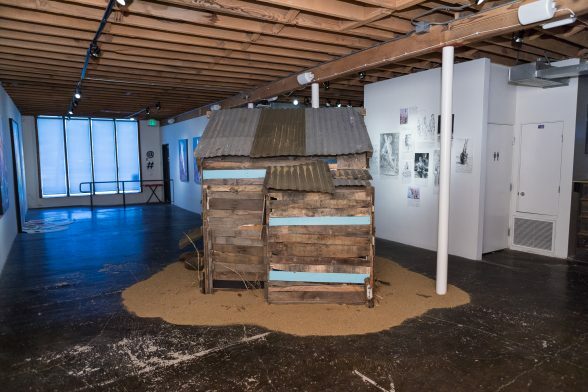 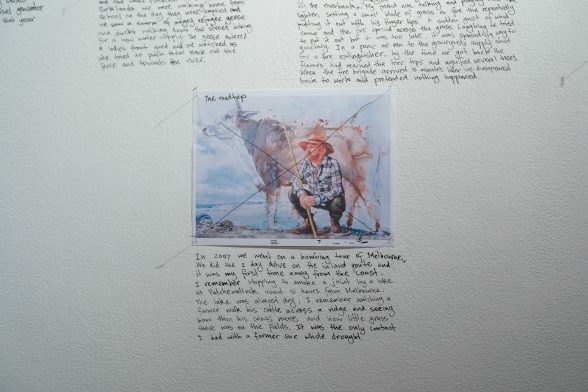 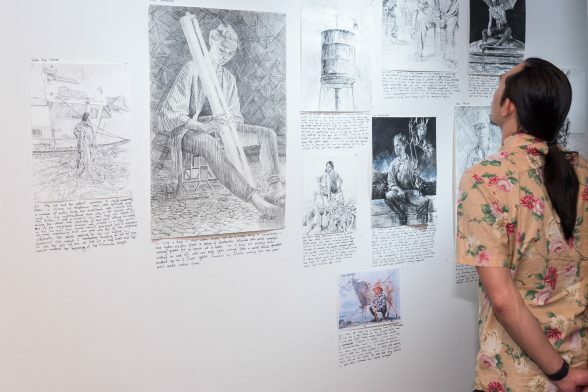 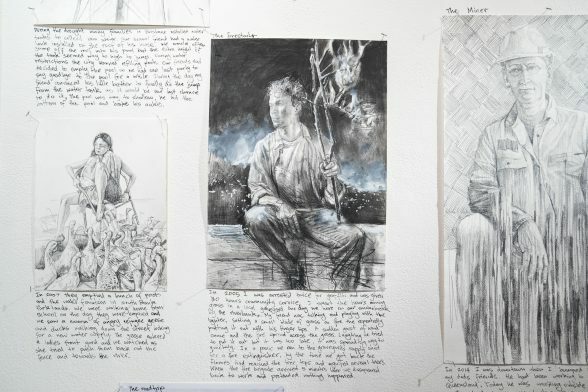 Much anticipated, Fintan’s install of a ramshackle house adorned with blue lilies sets the stage for his thought-provoking pieces and wall of studies with handwritten anecdotes and observations that inspired the body of work. 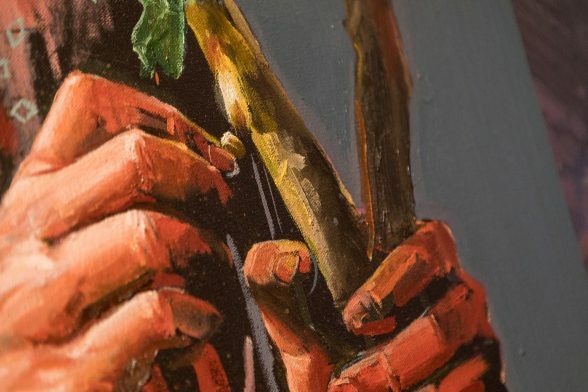 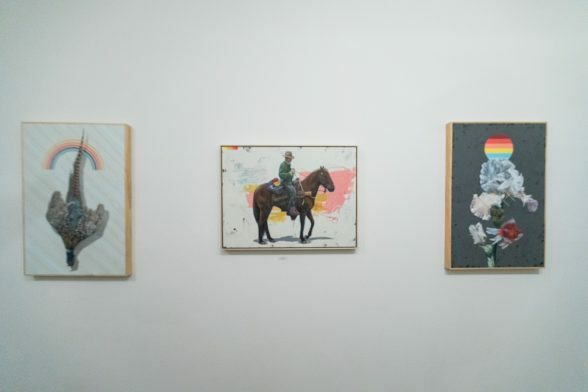 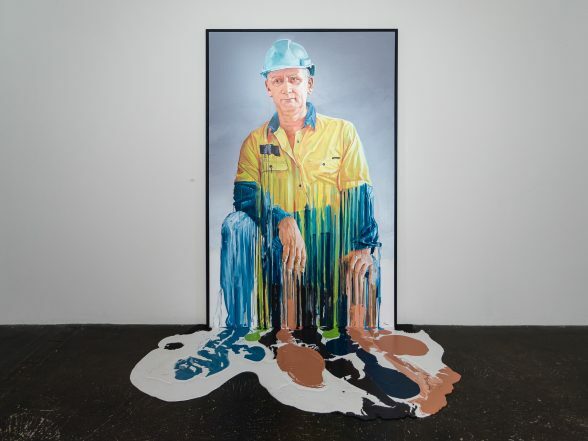 Then moving into the project room, David Rice’s colorful compositions of narrative introspections delights with bold saturation and thoughtful use of shadows. 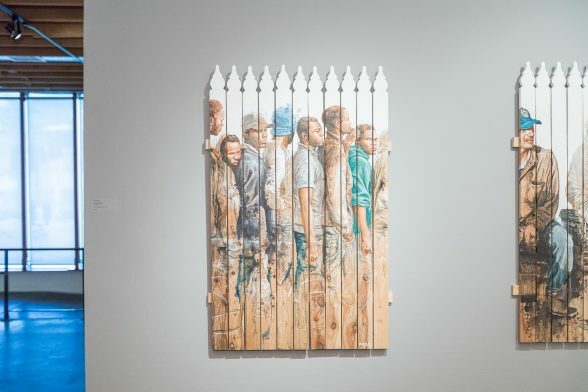 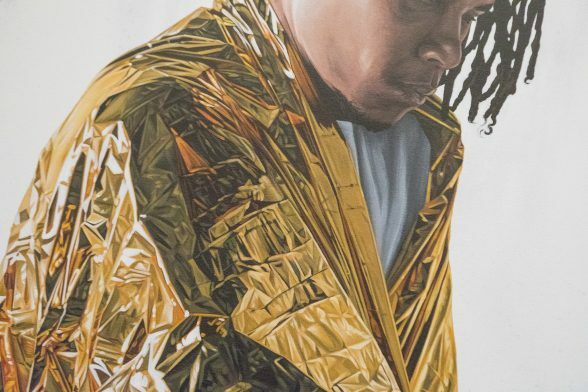 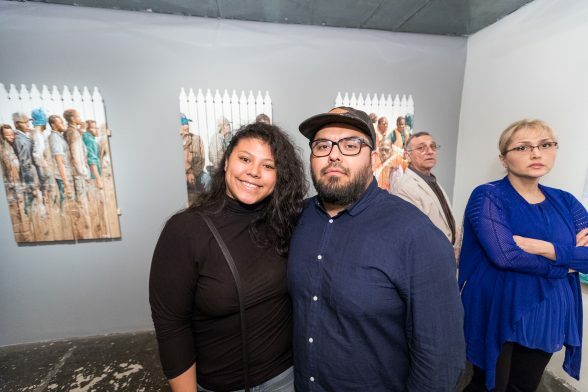 Both exhibitions are on view now through June 23rd.